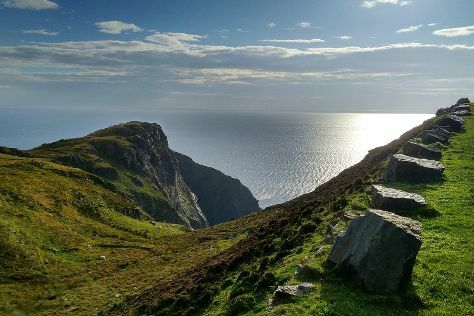 Start off your visit on the 14th (Sun): contemplate in the serene atmosphere at Galway Cathedral, contemplate in the serene atmosphere at St. Nicholas' Collegiate Church, and then cruise along Wild Atlantic Way. On the 15th (Mon), you'll have a packed day of sightseeing: make a trip to Quay Street, then appreciate the extensive heritage of Salthill Promenade, then tour the pleasant surroundings at Eyre Square, and finally explore the striking landscape of Burren National Park. To see more things to do, ratings, and more tourist information, go to the Galway trip builder site . If you are flying in from United States, the closest major airports are Dublin Airport, Shannon Airport and Cork Airport. In October, plan for daily highs up to 54°F, and evening lows to 44°F. Finish your sightseeing early on the 15th (Mon) so you can travel back home.